This Stitch Retreat is now full but please register for the reserve list. 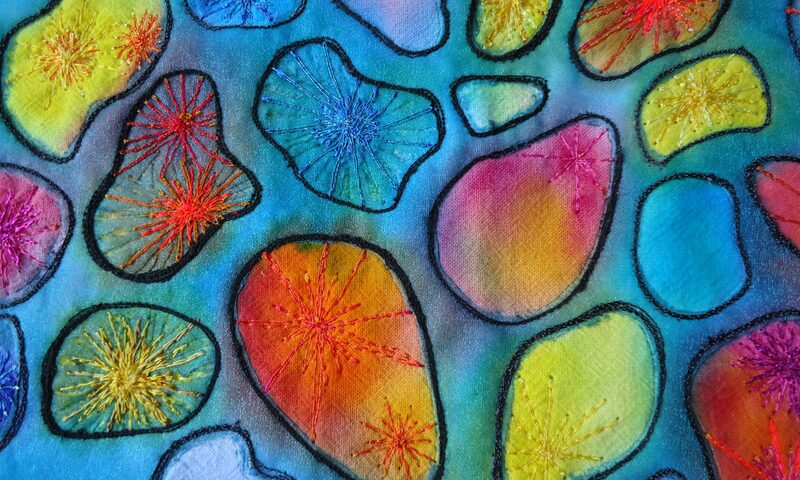 Jan and Jean are going to run a workshop together using a combination of hand and machine stitching. The workshop will include creating a design, then preparing a suitable background and finally developing a surface with stitches. They are continually updating their thoughts and techniques, so they will bring their latest ideas to the workshop. All accommodation and food is included in the price of the Stitch Retreat – £345. Accommodation in double ensuite bedrooms – you have your own room!